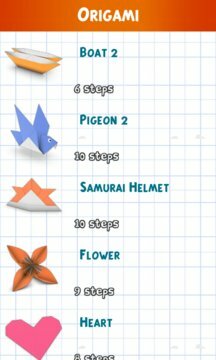 The "How to Make Origami" app is simple and easy to use. 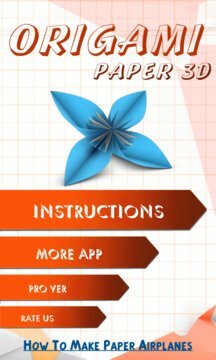 Follow the step-by-step instructions and watch the 3D animation carefully. And don’t worry, you’d have to try really hard to get confused. "Hey, that point shouldn’t be sticking out like that!" Something went wrong? That’s because even an airplane requires concentration and patience. Let this tranquil pastime completely absorb you, and your complete relaxation is guaranteed. You know, those wise Japanese invented a great thing.